Dr. A.K.M. 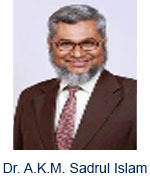 Sadrul Islam is a Professor in the Mechanical & Chemical Engineering Department of the Islamic University of Technology, Dhaka, Bangladesh. He received his Ph.D. Degree in Mechanical Engineering from Imperial College of Science & Technology, University of London in 1988 and earned his postdoctoral from Loughborough University, U.K. Then worked as a professor in Bangladesh University of Engineering & Technology, Dhaka, Bangladesh for 27 Years. He is having 32 Years of Experience in the field of Mechanical Engineering. His area of Expertise includes: Fluid Mechanics, Heat Transfer, CFD and Renewable Energy. He is the author of 180 technical papers and co-author/editor of 4 books, recipient of any Grants, awards etc. 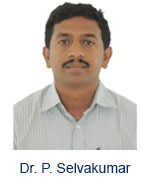 Dr. P. Selvakumar is a Professor in the Department of Mechanical Engineering at PSN Engineering College which is affiliated to Anna University, Chennai He received his Ph.D. Degree in Nanofluids Heat Transfer from National Institute of Technology Tiruchirappalli in 2014. He received his Master degree in Thermal Engineering from Anna University in 2004 and Bachelor degree in Mechanical Engineering from Manonmaniam Sundaranar University in 2001. 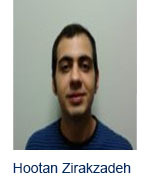 He is a recipient of University ranks in his both Bachelor and Master degrees. He has more than 10 years of teaching/research experience. His area of expertise includes nanofluids, heat transfer, thermal management of electronic components, nano coatings and heat transfer enhancement methods. 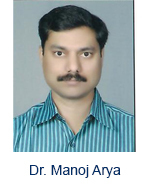 He has published more than 25 research papers in international journals/conferences. 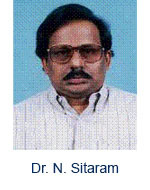 Dr. N. Sitaram is a Professor in the Department of Mechanical Engineering at IIT Madras He received his Ph. D. Degree in Aerospace Engineering from The Pennsylvania State University, University Park, PA, USA in 1983. Then he worked as a faculty member in IIT Madras for thirty years. He had thirty years of experience in the field of Turbomachines. His area of expertise includes: Computational and Experimental Fluid Dynamics of Turbomachines. He had carried out sponsored research projects for many national and international sponsors and industrial consultancy for many clients. He had supervised theses research of many M. S. and Ph. D. research scholars. He is on the editorial board of a few journals and reviewed papers for many conferences and journals in addition to a few book proposals and NPTEL courses. He is a member of many professional societies and an Associate Fellow of AIAA. He has published many papers in National and International Conferences and reputed journals in addition to one book chapter and one NASA Contractor Report. 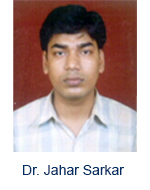 Dr. Jahar Sarkar is an Assistant Professor in the Department of Mechanical Engineering at the Indian Institute of Technology (BHU), Varanasi, India. He received his Ph.D.Degree in Mechanical Engineering from Indian Institute of Technology Kharagpur in 2006. Then he worked as an Assistant Professor in Indian Institute of Technology (BHU), Varanasi for 9 Years. He is having 9 Years of Experience in the field of teaching and research. His Area of Expertise includes: Advanced Heat Conversion cycles, Heat transfer, Refrigeration and Air-conditioning. He has published about 85 research articles in Journals and Conferences; Biography included in Who’s Who in the World 2010; Editorial Board Member of various International Journals. 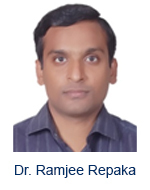 Dr Ramjee Repaka is Assistant Professor in the School of Mechanical, Materials and Energy Engineering at Indian Institute of Technology Ropar since June 2010. He received his Ph.D. degree in Mechanical Engineering from Indian Institute of Technology Kharagpur in January 2009. Then he worked as Assistant Professor in the Department of Mechanical Engineering at National Institute of Technology Rourkela from March 2008 to June 2010. He is having 6 Years of Experience in the field of teaching and research. Her Area of Expertise includes: Bioheat transfer, Radiation, Conduction, Thermal Engineering. He has published 10 articles in journals of international repute. 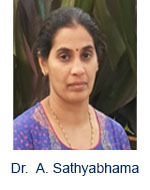 Dr. (Mrs.) A. Sathyabhama is an Assistant Professor in the Mechanical Department of National Institute of Technology Karnataka, Surathkal She received her Ph.D. Degree in 2012 from NITK Surathkal. She worked in MSRIT Bangalore for 12 Years. She is having 15 Years of Experience in the field of teaching. Her Area of Expertise includes: Boiling heat transfer, Renewable energy, Refrigeration and Air-conditioning, Energy Audit. She has published more than 25 papers in Journals and Conferences, recipient of R&D project Grant from DST, Travel grant from DST. 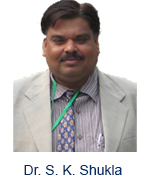 Dr. S.K.Shukla is working in the field of Thermal Engineering and Renewable Energy Technology since last 15 years. He has completed his Masters in Energy Studies and Ph.D. in Solar Thermal Engineering at Indian Institute of Technology, Delhi, India. He is a recognized guide for M.Tech. and Ph. D. in Thermal and Energy Studies in Indian Institute of Technology (Banaras Hindu University), Uttar Pradesh Technical University, Lucknow and Allahabad Agricultural Institute (Deemed University) Allahabad. He has developed research Collaborations with Asian Institute of Technology, Bangkok, University of Leeds, UK and University of Technology, Mauritius in the field of Thermal Engineering and Renewable Energy Technology. He is a Visiting Professor under MHRD Govt. of India, Secondment to Asian Institute of Technology, Bangkok and University of Technology, Mauritius. He has published more than 50 research papers in International Journals. He has delivered number of invited talks in International conferences/symposiums/ workshops on various issues in the field of Renewable Energy and Alternate Fuel Technologies. He is a member of Post Graduate and Research Committee, Mechanical Engineering Department IIT (BHU), Varanasi since October 2013. He has also nominated as Principal Member of Expert Group in Mechanical Engineering Sectional Committees (MED-39) and MED-04, of Bureau of Indian Standard (BIS), Govt. of India, New Delhi. He was also member of drafting committee of Bureau of Energy Efficiency for ISO50001. He is a recipient of UGC-TEC Consortium Agreement Award 2010 in Sustainable Energy by University Grants Commission, New Delhi, India. Over the years he has been able to promote the Renewable energy sources by introducing various courses and also motivating students to undertake research programs in this field. The students trained under his guidance are successfully perusing their research career in their respective countries. He has also participated in science popularization programs organized by Govt. of India and other Non Governmental Organizations. He has to his credit 4 books and one book chapter in the book published by Springer. Professor, Department of Mechanical Engineering, Delhi Technological University ,Delhi, India. Department of Mechanical Engineering, S. V. National Institute of Technology, Surat, India. Professor ,National Institute of Technology Durgapur, India. Assistant Professor, Mechanical Engineering Department S. V. National Institute of Technology, Surat. Professor, School of Mechanical Engineering KIIT University Odisha, India. Senior Researcher Thermal-Fluid Sciences and Design Engineering, Texas A&M University, United States. Assistant Professor , Materials and Manufacturing, Department of Mechanical Engineering, Indian Institute of Technology Guwahati, Assam, India.